The Amsterdam Gay Pride will include an ‘empty’ boat for the first time on 1 August... But that does not mean there will not be anyone on board. On the contrary. Thousands of people around the world will be virtual passengers aboard the boat as it makes its way through the canals. The Pridestream boat is specially equipped with a camera that streams a full 360-degree panoramic view. This lets people be part of the Boat Parade as it's taking place and experience what it's like to be cheered on and to feel totally free. The Pridestream can be followed via pridestream.org Everyone is welcome on the Pridestream boat. 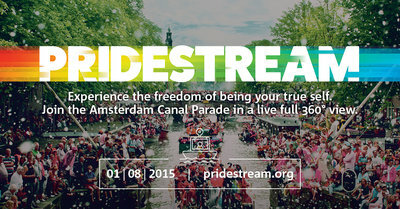 The Pridestream uses innovative technology: on the pridestream.org website, everyone all over the world can log on and experience the Canal Pride via a livestream, so you can feel just like you are on the boat in person right there and then. A 360-degree camera streams both image and sound: you will get to hear the music on the boat and the cheering of the people along the canals. You can look all around you and experience what it's like to be a part of the Boat Parade from any device. In addition to the camera, the boat is equipped with LED screens showing videos of people all over the world who are letting everyone know that they are also a part of the celebrations from afar. For those living in countries in which Gay Pride is not accepted and celebrated, the website offers a number of privacy tools that enable people there to join the Parade safely and anonymously. There is room for everyone on the Pridestream. On pridestream.org people can record a video to show their Pride on the boat and share the initiative. 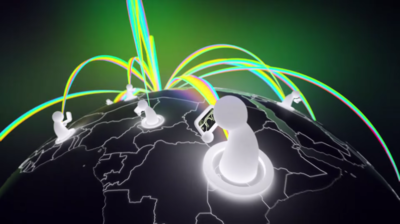 On 1 August, we are inviting the whole world to get on board with the Pridestream. The Amsterdam Gay Pride is held every year to shine a spotlight on human rights in general and the acceptance and equality of LGBTI people in particular. The Amsterdam Gay Pride is a spectacular party, which at the same time constitutes a powerful plea for the emancipation of the gay, lesbian, bisexual, transgender and intersex communities. Together with its partners, the Amsterdam Gay Pride Foundation organises and facilitates a nine-day festival offering a range of events from debate, art and theatre to film, parties and sports. The theme for 2015 is “Share”. To share is to multiply: shared joy is twice the joy and that is true for love too. Sharing does not just mean receiving: it also means accepting and giving. Under the motto “share love, love differences”, the organisation is inviting everyone to tell their story and share it with others. The festival starts on Saturday, 25 July and will continue up until Sunday, 2 August 2015. For more information, please visit www.amsterdamgaypride.org. With its brand mission “Feel Free”, KPN wants people to experience first-hand how technology can enrich your life. It makes experiences possible that were previously inconceivable – with products, campaigns and initiatives such as Pridestream. With “Feel Free”, KPN shares its IT technology which gives everyone the opportunity to experience a sense of freedom. 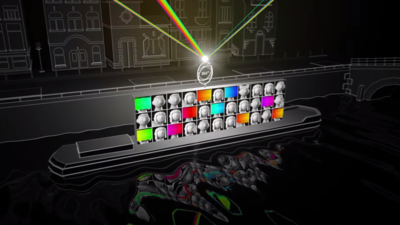 The concept was developed by Dutch advertising agency N=5 and implemented by them with Mediamonks, Dutchview and many other partners, all of whom gave their time and effort free of charge or at a reduced rate.